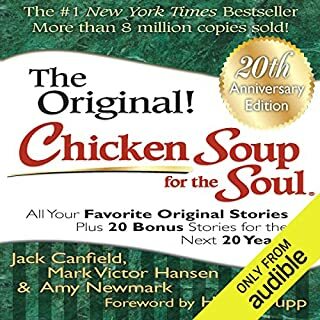 The 20th anniversary edition of the original Chicken Soup for the Soul is brimming with even more hope and inspiration - the stories you've always loved, plus bonus stories, plus 20 bonus stories from today's thought leaders. Everyone loves a good love story. And we all love stories about how the love started and blossomed. This fun new audiobook about dating, romance, love, and marriage, will make readers laugh and cry, and is guaranteed to inspire a renewed search for that special someone or open the heart a little more to the love already found. Stories of how couples met, when “they knew,” good and bad dates, proposals, maintaining the relationship, second chances, and all the other ups and downs of love, romance, and marriage will entertain, encourage, and warm the hearts of all readers. Here are 30 inspirational stories about words that changed lives, health challenges, and making every day special. 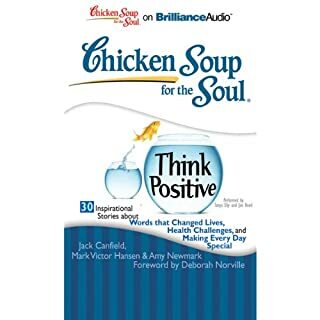 The stories in Chicken Soup for the Soul: Think Positive will encourage listeners to stay upbeat, because there's always a brighter way to look at life. This book continues Chicken Soup for the Soul's focus on inspiration and hope, reminding us that each day holds something to be thankful for. 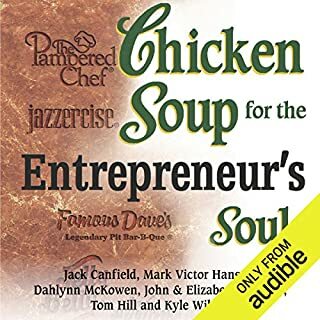 Chicken Soup for the Entrepreneur's Soul is a compilation of short stories from entrepreneurs, both large and small, who share their experiences of success, failure and courage, with a little helpful advice mixed in. Many of these stories, told for the first time here, will enlighten you to new methods of entrepreneurship or simply help you believe in the possibilities of getting started. Whether single, separated, or someone's spouse, everyone wants to find and keep this elusive thing called love. 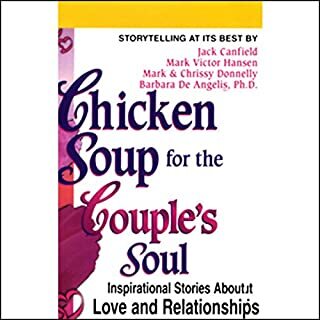 Best-selling author and foremost relationship expert Barbara De Angelis teams up as a co-author of Chicken Soup for the Couple's Soul, a collection of heartwarming stories about how real people discovered true love with the person of their dreams. When our loved ones leave this world, our connection with them does not end and we often receive signs from the other side. These true and touching stories of will amaze and support all readers - religious or secular. The 101 true and miraculous stories in this book of signs and messages from beyond show that death may take away the physical presence of our loved ones, but not their spirit. This book is for everyone, religious or secular, as regular people share their amazing experiences with the other side. Here are 101 Miracles to deepen your faith, give you hope, and brighten your day! These 101 amazing stories prove that God is actively involved in our daily lives, working miracles on our behalf. You will be awed and gratified by miraculous true accounts of healing, faith, divine intervention, and answered prayers. Everyone has their own idea of romance- a candlelight dinner, a stroll on the beach or a sprinkling of rose petals on a bed. Now, Chicken Soup for the Romantic Soul brings brand new inspiration to expressions of romance. Everyone loves a good love story. And we all love stories about how the love started and blossomed. This fun new book about dating, romance, love, and marriage, will make you laugh and make you cry, and is guaranteed to inspire you to renew that search for your soul mate or open your heart a little more. Read about how couples met, when “they knew”, good and bad dates, proposals, maintaining the relationship, second chances, and all the other ups and downs of love, romance, and marriage. Things I Wish I’d Known Before We Got Married was written to help you realize your goal of marital happiness. But don’t just listen to it - experience it. Grapple with the practical tips and ideas discussed, honestly share your thoughts and feelings, respect each other’s opinions, and find workable solutions to your differences. The more you do so, says Chapman, the more you will be prepared for marriage. This is the first Chicken Soup audiobook to focus specifically on stories of faith, including 101 of the best stories from Chicken Soup’s library on faith, hope, miracles, and devotion. These true stories written by regular people tell of prayers answered miraculously, amazing coincidences, rediscovered faith, and the serenity that comes from believing in a greater power, appealing to Christians and those of other faiths, and everyone who seeks enlightenment and inspiration through a good story. We can all remember a time when we were young and under-the-weather, and Mom soothed and nurtured us back to health with her magical chicken soup elixir. Now we can revisit those cherished moments with a delightful batch of stories for and about mothers. Celebrity contributions include Barbara Bush, Reba McEntire, Erma Bombeck and Montel Williams. Sure to become a favorite of readers who love Chicken Soup for its stories of overcoming life’s obstacles, challenges, heartbreaks, and pain, this book emphasizes triumph in the face of overwhelming odds. A timeless testament to the indomitable human spirit, this collection is sure to encourage, support, comfort, and, most of all, inspire all readers for years to come. What makes you happy? Others share how they found their passion, purpose, and joy in life in these 101 personal and exciting stories that are sure to inspire and encourage listeners to find their own happiness. 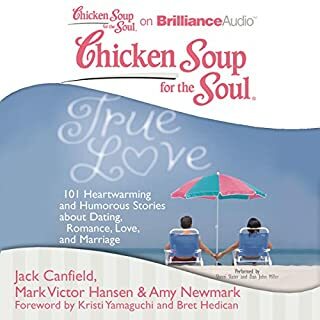 Chicken Soup for the Soul: Find Your Happiness will encourage listeners to pursue their dreams, find their passion and seek joy in their life with its 101 personal and inspiring stories. This book continues Chicken Soup for the Soul’s focus on inspiration and hope, reminding us that we all can find our own happiness. How often have you seen a teenage girl pretend to be perturbed, but secretly smile, when she is told that she acts or looks just like her mother? Fathers, brothers, and friends sometimes shake their heads in wonder as girls "turn into their mothers". This new collection from Chicken Soup represents the best stories from Chicken Soup's library on the special bond between mothers and daughters, and the magical, mysterious similarities between them. This book on stress in the successful Chicken Soup for the Soul Healthy Living Series offers inspirational stories followed by positive, practical advice. It addresses the number-one lifestyle and health issue in America today: stress. Everyone needs some faith and hope! This book is just the ticket, with a collection of some of the best stories from Chicken Soup for the Soul's past on answered prayers, the power of love, family, and making a difference. These true stories, written by regular people, tell of prayers answered miraculously, amazing coincidences, rediscovered faith, and the serenity that comes from believing in a greater power, appealing to Christians and those of other faiths - anyone who seeks inspiration. 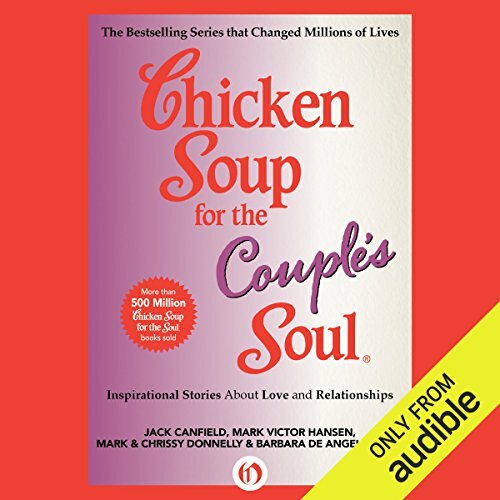 This new series from Chicken Soup for the Soul delivers inspirational stories followed by positive, practical medical advice for caregivers and patients. It provides the perfect blend of emotional support and vital information about weight loss. Chicken Soup for the Soul partners with top doctors to give you the information you need to survive - and the positive inspiration to thrive. Each book features beautifully written stories plus information on diet, lifestyle, diagnosis, procedures, caregiving, and more. Finally - the book you've been waiting for to help you find and keep the right partner and make love last. Best-selling author and renowned relationship expert Barbara De Angelis reveals everything you need to know about compatibility and shows you how to create the fulfilling relationship you deserve whether you are-Married, and wondering if you could be happier.Single, and wondering how to avoid another wrong partner. In love, and wondering whether your partner is the right one for you, with powerful advice and groundbreaking techniques that have helped thousands of people transform their lives, Dr. De Angelis will show you the formula for creating love that lasts, and help you to understand yourself and the one you love as you never have before. Discover:How to avoid making the biggest mistakes in love.The six essential qualities to look for in a mate.How to spot fatal flaws in a partner.How to create the sexual chemistry you want.The compatibility formula to make your relationship work. Soup's on! 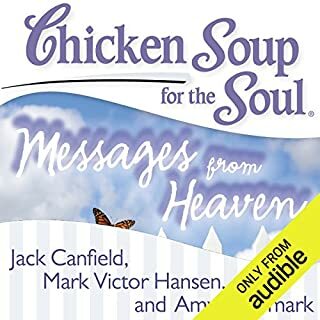 Listen to more Chicken Soup for the Soul titles. ©2012 Chicken Soup for the Soul Publishing, LLC (P)2014 Audible Inc.